– Leon Bridges is a pretty smooth dude. His vocal phrasings are nicely toasted to the low burning embers of the music – no marshmallows catch fire on this album if you know what I mean, and as the listener I was continually left wanting s’more of Leon’s sound. This can be both a good thing and a bad thing – maybe Leon is a little too nicely toasted at times. Maybe it would be nice to hear him really let loose and catch fire – he certainly has the voice for it. Perhaps he lets things hang out a little more in his live shows – some artists are great on record but even better live. – I like soul. I need more of it in my life and in my music collection. I go through life with a damper on my feelings most of the time and it can be liberating to listen to a honey-throated heartbreaker sing it with feeling (whatever “it” may be). If I was a singer I think I’d want to be the soulful kind who could sing those “Baby, baby, baby’s” and “Whoa girl’s” like Leon, in a way to make the ladies lean forward and listen. – “Coming Home” is far and away the best song on the album, which is probably why it is the title track and why it was also the demo song that got him significant radio airplay and attention from major labels, leading to a deal with Columbia. Unfortunately “Coming Home” is also the first track on the album, which could make it a downhill trip from there for some listeners. I’m here to tell you to hang in there and keep listening. “Better Man,” “Smooth Sailin’,” “Lisa Sawyer,” “Pull Away,” and “River” are also standout tracks that deserve attention. 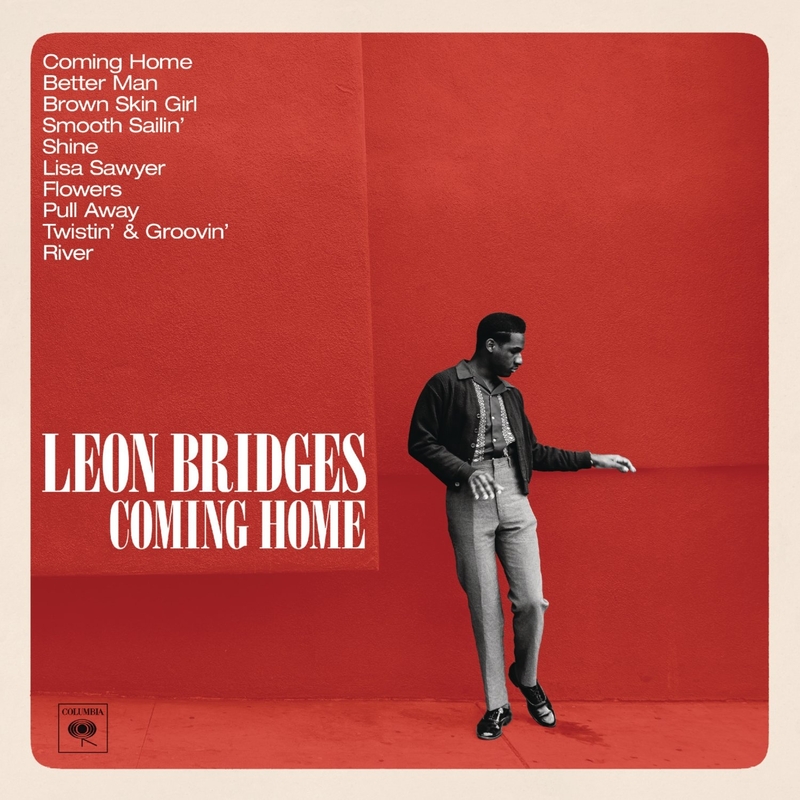 Leon’s music has what I call “instant atmosphere” and by virtue of his velvety vocals and smooth, retro style he can make any room and any person in that room feel instantly cooler with the sound of really any of the tracks on this album. – I’ve seen names like Sam Cooke, Otis Redding, and Marvin Gaye written in connection with Leon’s. I see the similarities of course, though his voice doesn’t seem to have the same kind of grit or power or passion of any of these yet, but of course not and so what? He’s awfully close, probably, but I guess I don’t really want him to be any of these guys anyway. I want him to be himself, and on the strength of this, his debut album in what surely could be a long and successful career, he is succeeding wildly at doing just that. This entry was posted in Album Reviews, Music New Releases 2015, Music Videos and tagged Album Reviews, Coming Home, Constant Listener, Dear Music Appreciators, Leon Bridges, Music New Releases 2015, Smooth Sailin' on July 4, 2015 by Constant Listener. 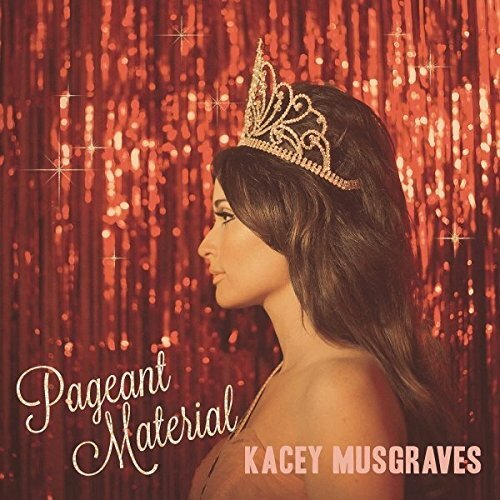 I listened to this album all the way through without knowing a thing about Kacey Musgraves and I’m pleased to report that I enjoyed the whole darn thing. Albums like this are rare for me and they remind me of an apple pie I ate once. So many people rave about apple pie and so often I enjoy parts of it but not the whole thing and the apples make me feel too full. One day my friend came home from his bakery job with an apple pie with a streusel crumb topping and the apples were all finely diced and well blended into the filling and every last bite was delightful. Still not sure if it was Dutch Apple Pie or French Apple Pie but that pie had my attention and interest to the last bite, as did this new album by Kacey Musgraves. 1. Although to some it may at times feel a little too cute or preachy, these songs are full of clever lyrics and rhymes and turns of phrase (which is sort of a tradition in a lot of country music), and when these kinds of things are done right, i.e. they appear naturally in the song and are sung earnestly and without trying too hard, they can be like memorable little gems the listener can easily remember and take away with them when the song is over. “I’d rather lose for what I am than win for what I ain’t,” “mind your own biscuits and life will be gravy,” “they own too much wicker and drink too much liquor.” – the list goes on and on and it can be kind of fun to pick these out. With Musgraves’ laid-back presentation I’m willing to wiling to eat this stuff instead of sending it back to the kitchen. 3. For all the self-empowerment, life-lesson, and daily affirmation nuggets in these songs there is also a nod to self-questioning and doubt, and with the album ending with the words “are you sure this is where you want to be?” I was left feeling that I’d been listening to an album that was maybe sort of sad and beautiful instead of just plain cute and twangy. This entry was posted in Album Reviews, Music New Releases 2015, Music Videos, You Tube Song Samples and tagged Album Reviews, Biscuits, Constant Listener, Dear Music Appreciators, Family is Family, High Time, Kacey Musgraves, Music New Releases 2015, Pageant Material on July 4, 2015 by Constant Listener.